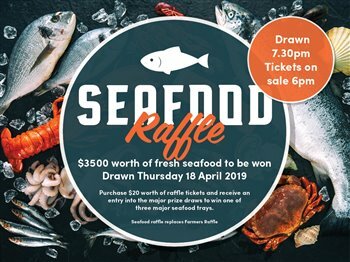 win one of three major seafood trays. Win meat trays, seafood vouchers, KENO vouchers and membership bonus points. Purchase $10 and receive $10 for FREE. Win meat trays simply by being present! Swipe your membership card at the swipe terminal at reception to receive your voucher. 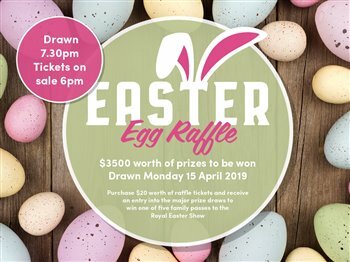 Redeem your voucher for raffle tickets in person at 'The Shop' between 10.30am -1pm. Additional tickets can also be purchased, starting from $1 for 10 numbers.